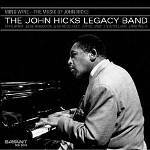 For those listeners who are not yet cognizant of his status as one of the most eminent virtuoso piano players in the history of jazz, this newest release by John Hicks is as good a place as any to start. 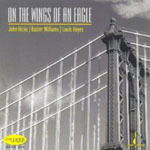 Hicks is, regrettably, rarely as recognized as those of two slightly senior contemporaries, McCoy Tyner and Herbie Hancock, with whom he shares (respectively) an opulent orchestral sound and a spare engaging melodicism. This rare combination of musical qualities coalesce with an imposing technical ability, marked by uncanny manual independence and nearly unparalleled digital dexterity in the formation of a personal style that is as instantly identifiable as it is notable for both its lyricism and strength. Fatha’s Day , Hicks’ tribute to the great Earl “Fatha” Hines, is the fifth title in his set of dates for HighNote devoted to great pianists from Pittsburgh - a series that began with an album dedicated to Billy Strayhorn (whose music he performed in concert at Aaron Davis Hall in December). Accompanied by Iron City natives Dwayne Dolphin and Cecil Brooks III, on bass and drums, Hicks honors Hines without attempting to emulate the elder musician's famous "trumpet style" technique, instead finding inspiration in original compositions and other songs often performed by the Pittsburgh pianist. Beginning with Hines' classic “Rosetta” stone the leader lets it be known that this is a John Hicks date, trumpeting the distinctive harmonic intervals and inimitable rhythmic structures that are all is own. On “Almost Spring” he displays his way with a waltz, playing it with a delicate maturity seldom heard these days. His original “Remembering Earl and Marva,” memorializing Hines and his long time vocalist partner, demonstrates an ability to capture the simplicity of a bygone era without trivializing it. “Serenata,” long a staple of Hicks' (and Hines') repertoire, is transformed here with a rhythmic treatment reminiscent of another pianist from Pittsburgh, Ahmad Jamal. The trio's moving performance of “Poor Butterfly” is a model of melancholy without maudlin-ness, just as their performance of Hines' popular “My Monday Date“ exemplifies swinging optimism. On his second dedicatory composition, “Fatha's Bedtime Story,” the leader displays his soft solo piano stylings, while with “Sweet and Lovely” he again exhibits his capability to rhythmically revise an old standard. The solo “Rhythm Run (Uphill),” is a striding impromptu improvisation revealing not only Hicks' facility for playing independent melodies with each hand, but the amazing ability to modulate their tempos, whereas the duo with Dolphin on “You Can Depend On Me” is the essence of understated beauty. The penultimate “Twelve Bars For Linton” leftover from an earlier Hicks date dedicated to Erroll Garner, is a swinging piece that fits in nicely here. The solo original “Synopsis” is an appropriately titled closer for the record, a brief but telling glimpse at a talent worthy of extensive investigation. Personnel: Cecil Brooks III - Drums; John Hicks - Piano; Dwayne Dolphin - Bass.